San Juan Islands Scenic Byway is a new addition to Washington State Scenic Byways. The unique natural beauty, vibrant communities and ferry travel make it a very special route. We are San Juan Islands most experienced kayaking tour company specializing in guided and bespoke kayaking expeditions throughout the San Juan Islands. The San Juan Island Scenic Byway is a great way to see the best the islands have to offer in a few short days. Explore the many State and County Parks that are scattered across Orcas and San Juan. Explore the shops and tasty restaurants of Friday Harbor and Eastsound. Consider a detour to Lopez or Shaw Island, both a short ferry ride away from San Juan or Orcas. Why should I drive the San Juan Islands Scenic Byway? If you only have a few days to explore the San Juan Islands this is a great way to see the highlights and become inspired for a longer trip in the future. This Scenic Byway includes parks, towns, ferry travel and amazing views. Whale watch from the sandstone cliffs on the west side of San Juan Island. Check out the historic towns and resorts on both islands. Parks with beaches, lakes, and hiking are around every corner. The islands are surrounded by water and mountains, which makes for stunning views everywhere you look. Where does the San Juan Islands Scenic Byway begin and end? The Scenic Byway starts at the Anacortes Ferry Landing. From there you travel to San Juan Island and tour that lovely island before heading to hilly and majestic Orcas Island. 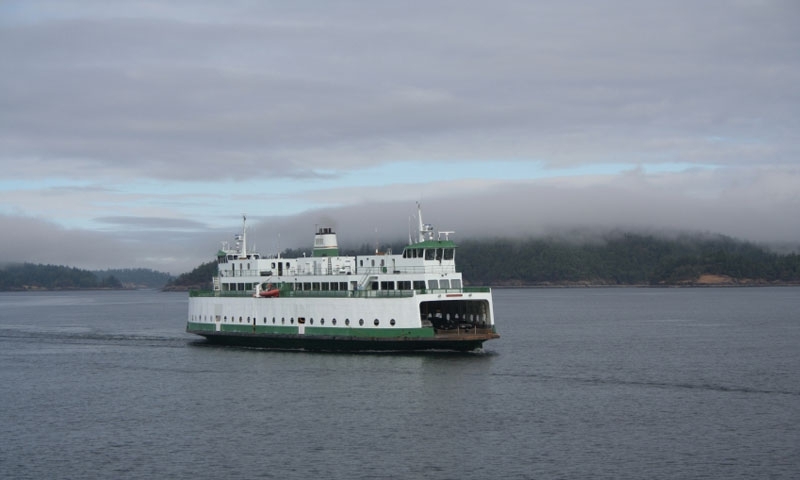 From there you can catch the ferry directly back to Anacortes or make an unscheduled stop on pastoral Lopez Island. How long does the San Juan Islands Scenic Byway take to drive? To do the route justice would take 2-3 days. While drive time is just a few hours, the ferry travel and scheduling makes a one-day trip difficult. The trip’s overall mileage is 120 miles, this includes the ferry trip.